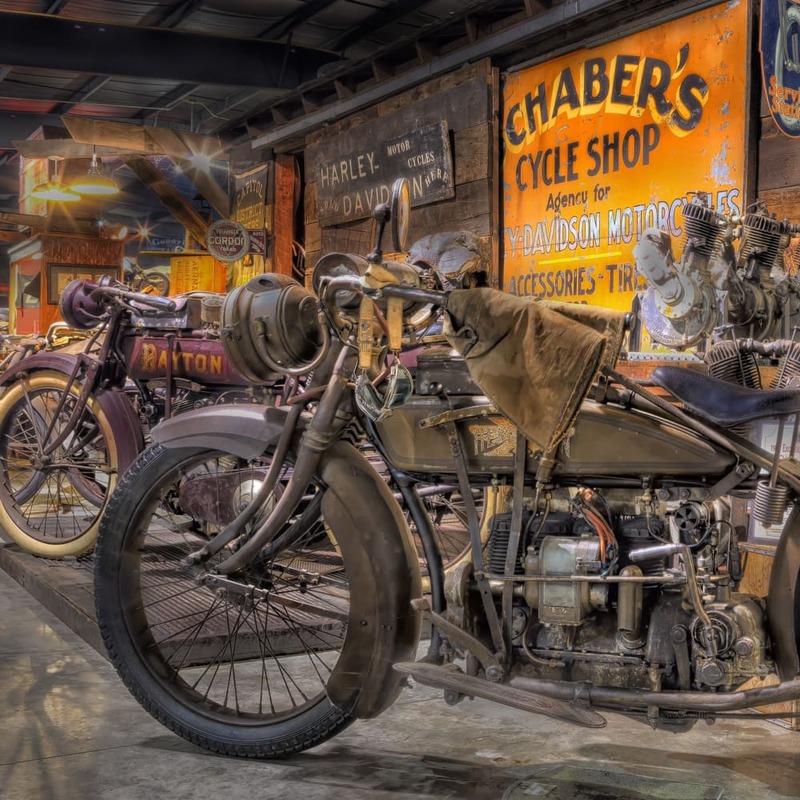 Wheels Through Time Museum is the home to the worlds premier collection of rare American motorcycles, memorabilia, and a distinct array of unique “one off” American automobiles. 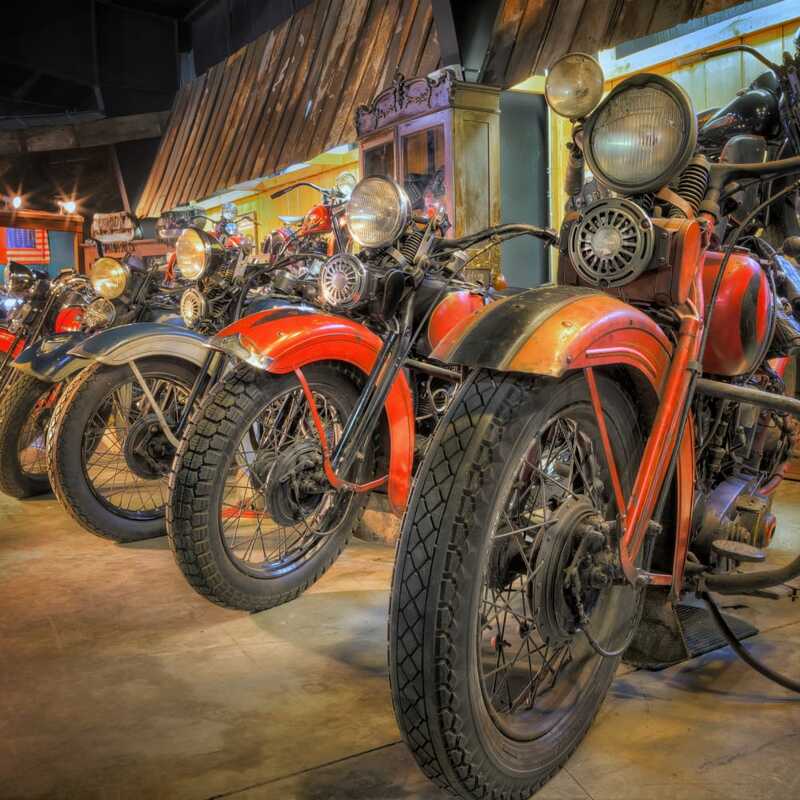 The museum is located just 5 miles off the Blue Ridge Parkway in Maggie Valley, North Carolina. 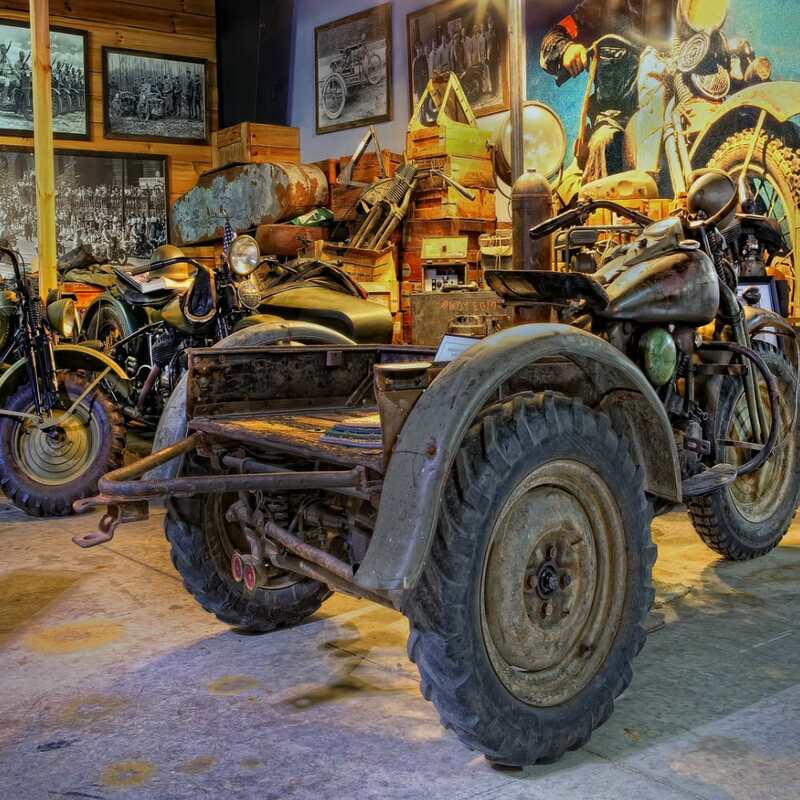 The Wheels Through Time Museum houses a collection of over 350 rare machines comprised of 25 makes including Harley-Davidson, Indian, Excelsior, Henderson, Pope, Yale, Crocker, Flying Merkel, and many more. 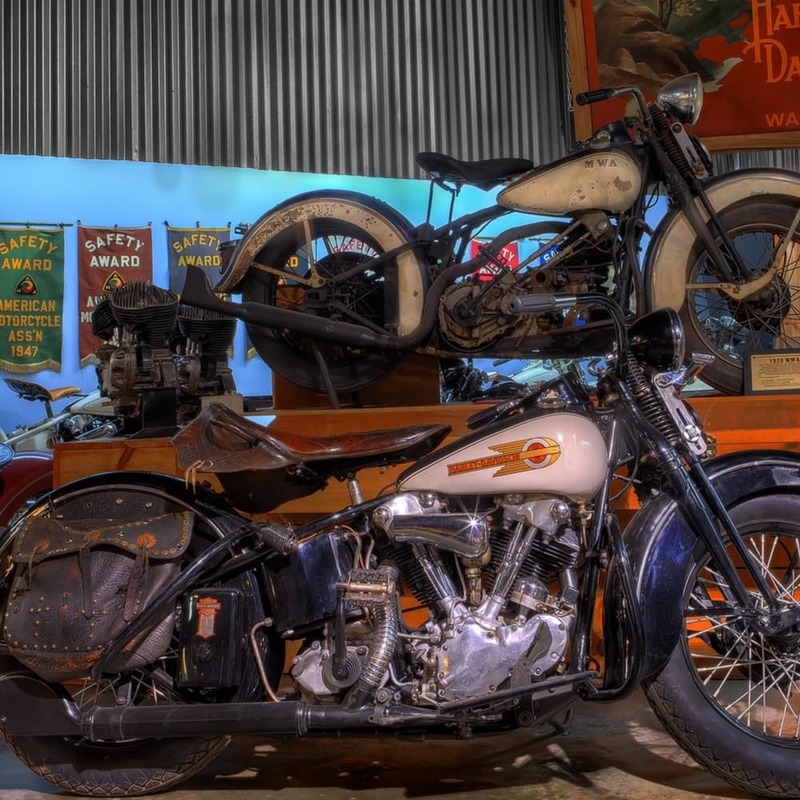 Dale's Channel beholds over 400 shows about the history, restorations, and rebuilds that take place at the Wheels Through Time Museum. You can watch the shows on your iPhone, tablet, computer, or smart TV and see any of the shows at anytime. Click here to get subscribed! 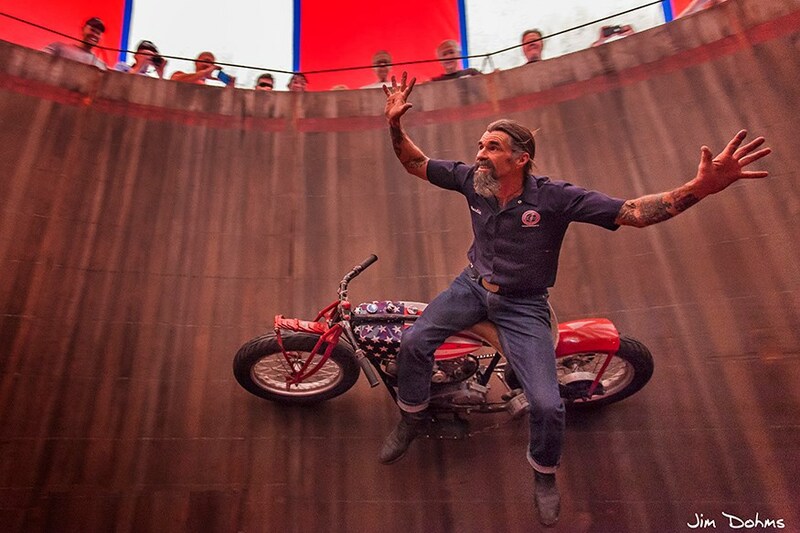 This is programming that you can't see anywhere else and all proceeds benefit the Wheels Through Time Motorcycle Museum in Maggie Valley, North Carolina. 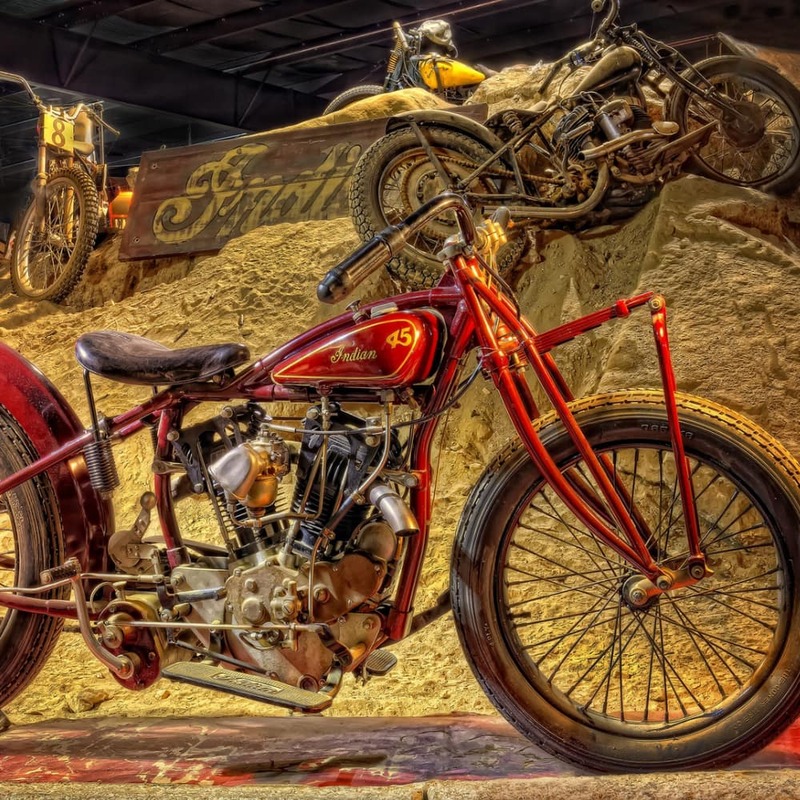 First introduced in Spring of 2017, the David Uhl Exhibit features countless pieces of his extraordinary art, several iconic machines from the 1930's & before , and an incredible 1940 Crocker. David Uhl is a renowned artist throughout both the art and motorcycle industry and continues to produce one incredible piece after the next, each of which incorporate beauty, and some dynamic facet of the early motorcycle and car era. Each Winter, the Wheels Through Time upgrades and expands some of its already stunning exhibits. 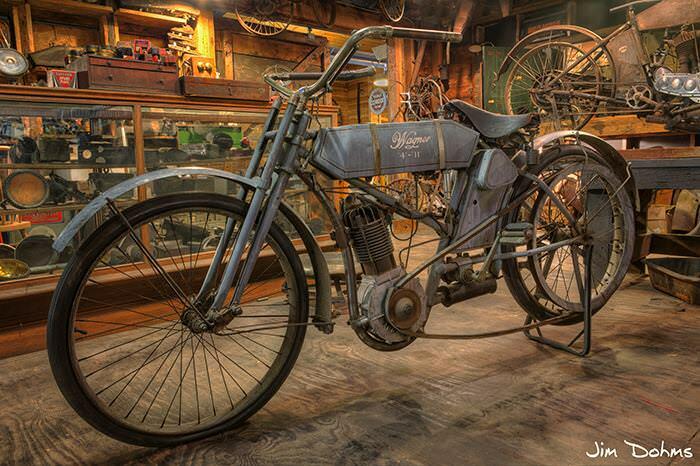 This Winter, we added several machines to our Hillclimb Exhibit! Come by and see the our newest additions! 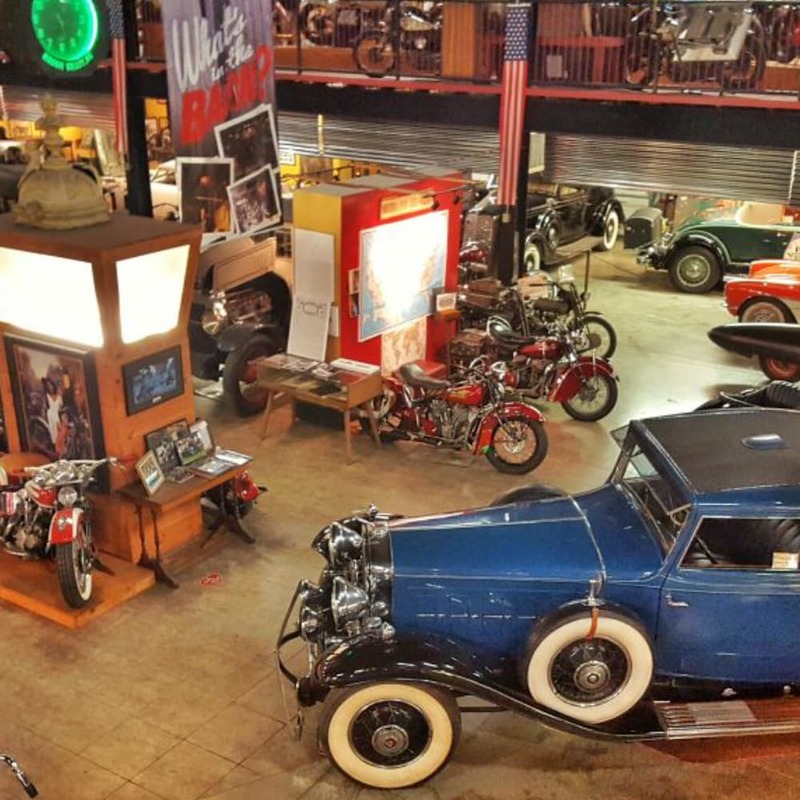 On July 4th, 2002 Wheels Through Time Museum became a reality when it opened its 38,000 square foot facility in Maggie Valley, North Carolina. 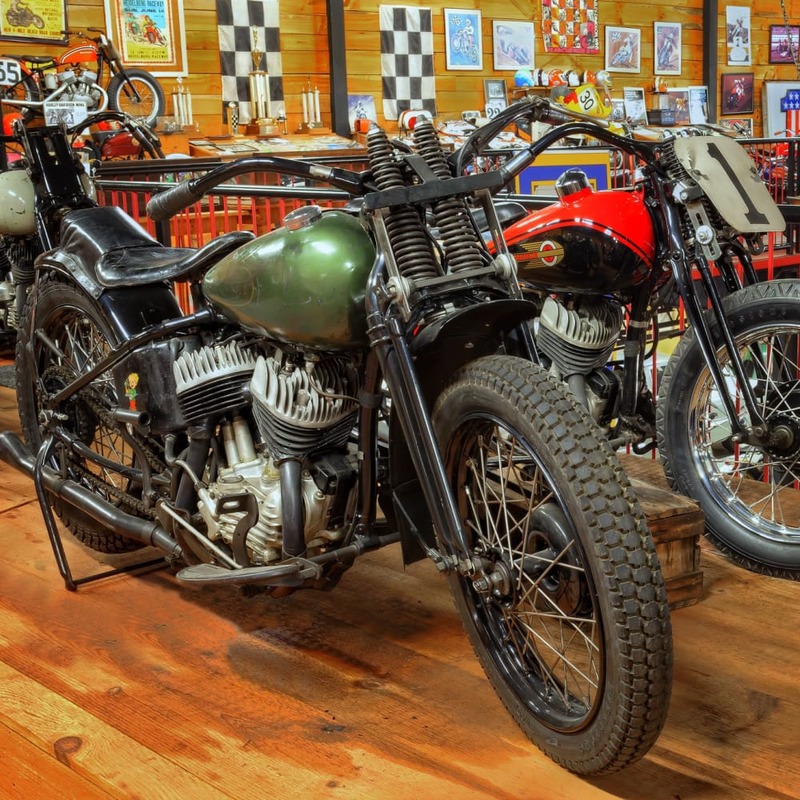 Now in its 15th year of operation, the facility features one of the world’s premier collections of Vintage American Transportation, guiding visitors through the evolution of American motorcycling and automotive history. The museum has attracted worldwide media attention and brought hundreds of thousands of visitors to Maggie Valley, North Carolina from all over the globe. Many visitors consider the displays equally as interesting as the rare machines that are within them. The museum layout is more than a timeline of machines. 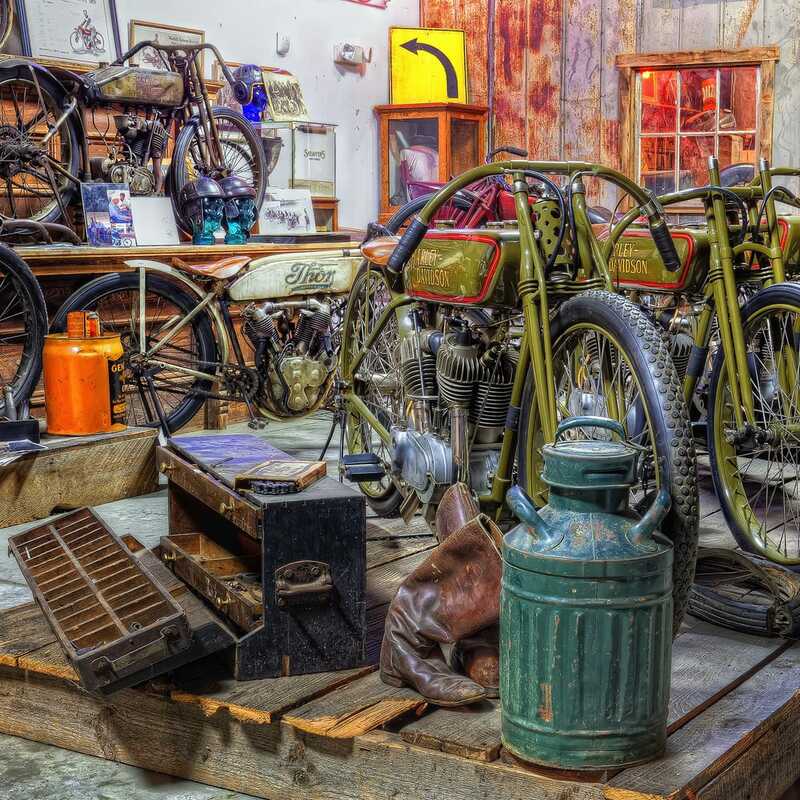 It has the feel of an old garage, but is touched by relevant artwork of the era and houses precious items of memorabilia by the thousands. The museum is literally a cornucopia of American history. The automobile collection is equally as interesting as the two-wheeled marvels. A pair of ’32 roadsters, Packard and Lincoln from the classic era are surrounded by distinctive “one off” autos such as the 1949 Veritas and the massive 1915 Locomobile built during the gilded age of American history. The collection was started by Museum Founder Dale Walksler in 1969 in Glen Ellyn, Illinois. In 1977 the collection moved to Mt. Vernon Illinois where it was housed at the Harley-Davidson dealership founded by Dale. As the collection matured it became obvious the potential for a truly incredible museum was at hand. 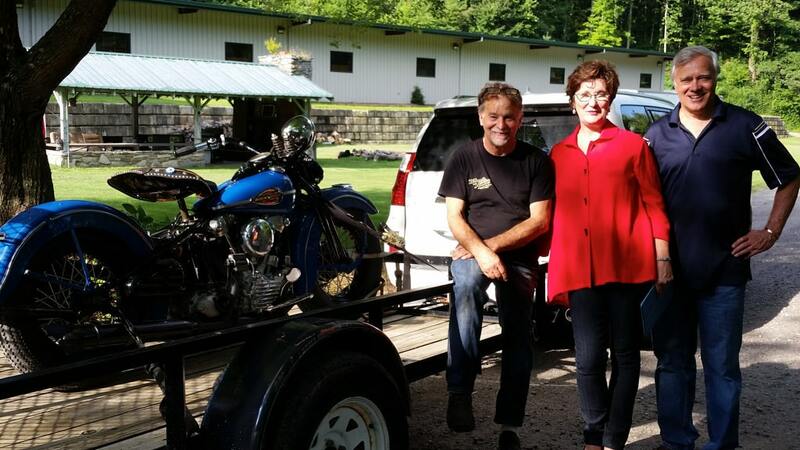 In 2002, the collection moved to its present location in Maggie Valley, North Carolina. A 501c3 not-for-profit status was attained, and Wheels Through Time was on its way to preserving forever a most unique aspect of our American history. In 2015 The History channel introduced itself to Wheels Through Time seeking Dale Walksler as restoration talent on the already successful reality series American Restoration. 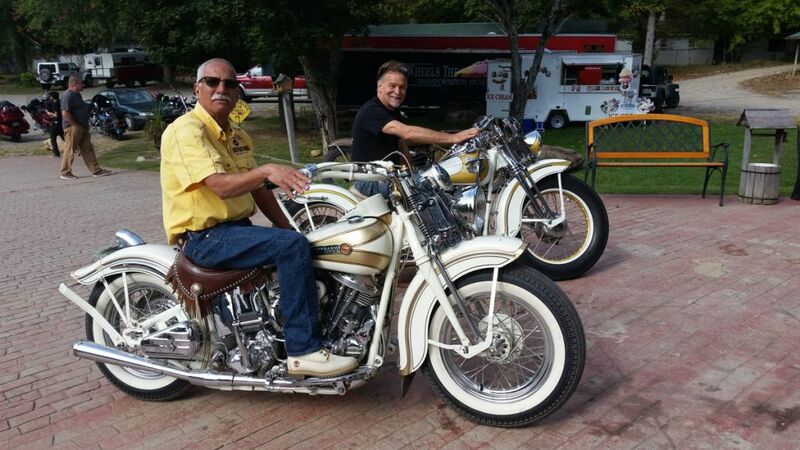 Although this new series lasted only one year, Dale put a team together that included Wheels Through Time Board Member and historian Bob White and all around genius mechanic John Gustofson. This trio spent most of the summer of 2015 and some of 2016 to produce these popular shows that showcased the talent, history, and dedication by all involved here at Wheels Through Time. The following chronicles will give the reader just a little bit of behind the behind the scenes activities that certainly were not scripted.If you enjoyed American Restoration, we have no doubt that you will love Dale’s Channel! See two new shows per week and gain access to over 350 shows that Dale and the crew produced over the last 10 years! *Admission does include the 7% N.C. sales tax. Admission covers a one day experience at The Wheels Through Time. To Protect the objects being photographed, and for the safety of other visitors, there are certain guidelines that must be followed when photographing at the Wheels Through Time Museum. Photography must be conducted without disruption to the museum operations, and without limiting the accessibility of exhibitions, entrances/exits, doorways, pathways and high traffic areas.